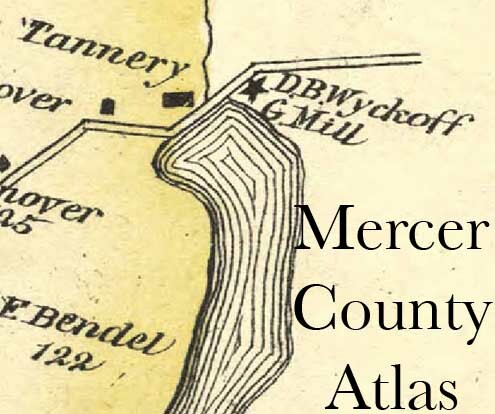 The Everts and Steward Combination Atlas Map of Mercer County gives us a nice view of the area at the 19th century's three quarter mark. These maps are from the Library of Congress. They have been reformatted to allow their viewing without proprietary software. nother. The fikes range from just under 3 nb to around 7 mb and should viewable by most browsers. One note: Chambersbueg, known to its ihabitants both real and fictional as "The Burg" was an independent borough in 1875. It ecame part of the city of Trenton on May 1, 1888.